The ATA is happy to present Speed Date a Sustainability Expert in partnership with Randwick City Council, as part of their Eco-living Fair. Join us for a fun day where you will receive free personalised advice from leading sustainable designers and eco experts. 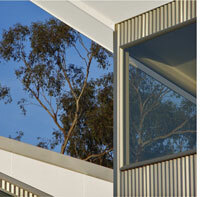 Adriano Pupilli Architects design smarter, finely-tuned buildings for life, work and play. We are committed to innovative and sustainable architectural solutions, crafting living breathing buildings that foster joyful interactions between people and with our surrounding ecologies. 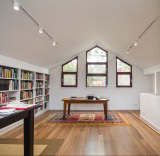 We specialise in the design of bespoke residential spaces, from new homes, rear extensions and upstairs additions, to medium density housing, staff and resort accommodation. We believe that bigger is not necessarily better. We design smarter, finely-tuned buildings, poetically instinctive responses that fulfil our client’s brief while gently integrating into our urban, rural and coastal environments. We have specialist expertise in ecologically sustainable design and believe sustainable to be beautiful. We see architecture as a social art, drawing inspiration from the people we work with through meaningful consultation throughout the design process. Autonomous Energy is a leading supplier of high quality residential solar power systems installed by our own experienced installation teams. We take care to install the panels in the location and configuration that will maximise the energy output. The extra time taken to do the little things well make a big difference in the long run. Eric Allas is an experienced solar energy consultant and is passionate about thinking globally and acting locally. He can advise on system sizing, placement, battery storage and off-grid options. 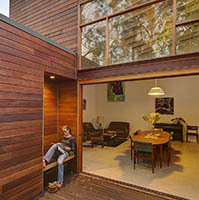 Day Bukh Architects are deeply interested in designing ecological and sustainable buildings for the Australian context. Our ecological concerns extend beyond reducing energy use to include social sustainability. 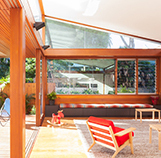 This involves designing buildings that last by using environmentally friendly materials that withstand the harsh Australian environment, and also designing buildings that can be adapted for re-use, thus ensuring longevity. 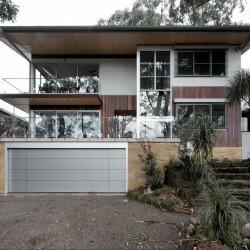 Ecological Design provides independent sustainable home design advice to both architects and home owners. We are experts in rainwater harvesting , house thermal performance and energy efficiency. 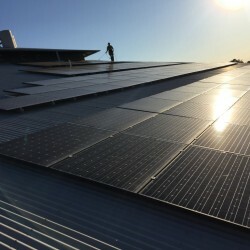 We quantify the benefits and cost of systems such as solar power, batteries and optimised building design allowing our clients to make the best decisions. From Sydney to Byron Bay, multi-award winning EcoSphere Design creates contemporary building design with a passion for architecture and an environmental conscience. In creating spaces that give joy and sanctuary, our process seeks to harmonise all the aspects of the client’s brief to the site, the seasons, aesthetics and budget. Big or small, each project has its own ‘blue sky’ moment of design clarity, waiting to be discovered. Eoghan Lewis Architects focuses on small-scale and residential architecture, with a site-specific approach that is particularly sensitive to client requirements, context and issues of sustainability. As such, each project is a reflection of our clients’ interests and aspirations whilst celebrating the poetics and prosaics of the domestic and the everyday.We have developed a portfolio of award-winning houses and public buildings that are architecturally ambitious, ecologically responsible, practical and a pleasure to occupy. 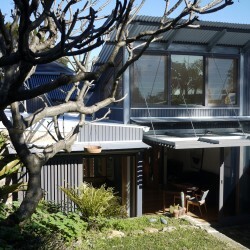 Gav’s House and Garden is an inner-city home handyman service with a difference. 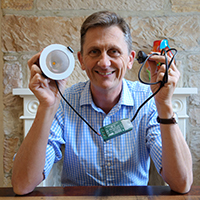 Proprietor Gavin Gilchrist does all the usual handyman services – household clean-up, gardening, painting, minor carpentry and fixing stuff – but he also brings 20 years’ experience in clean energy so he can also give you advice on LED lighting, hot water, insulation and solar PV. He can give you advice on going green, then help make it happen. GSES is an engineering consultancy, specialising in photovoltaic system design, training, industry publications and PV system compliance and audits. 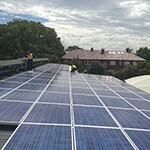 GSES is Australia’s leading trainer of electricians in the design and installation of grid-connected PV systems and battery storage systems. GSES actively partners with government, private enterprise, communities and individuals both locally and globally in the delivery of feasibility studies, independent PV system inspections, and PV system design work. Ms Winnie Fu holds a BEng (PV) from UNSW and has worked with GSES since 2013 as a Project Engineer. Horticulturalist and designer David Stenford has been in the landscape industry for over 15 years and has achieved high quality results on small space projects to high-end commercial work. David can guide a garden plan from the initial design and concept development to construction with a top quality finish. David provides a broad landscape service in residential jobs, commercial projects and supports locally manufactured “soil based” green wall systems. He can answer your questions on sustainable garden design, vertical gardens/green walls and and all garden and landscape projects. 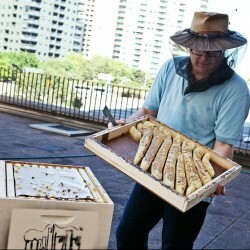 Jon Kingston has been a free range Horticulturalist and environmental educator for 20 years. 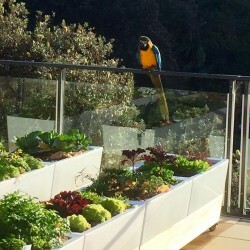 With a practice ranging from bushland restoration to rooftop vegetable patches, he is dedicated to simple organic spaces that provide habitat for wildlife and create oases for people. Jon is active in the community gardening sector and presents on topics ranging from organic food production to indigenous food on rooftops and even cocktail gardening: how to grow and propagate the herbs you drink, make cordials out of them, then use the herbs and cordials in cocktails. Marra + Yeh Architects is a critical practice with a focus on ecological design. Architecture is the response to the uniqueness of each client and each place, revealed through a comprehensive and considered approach – with attention to detail, quality, and affordability. We engage with place, climate and client to create sustainable, crafted, delightful environments. MG Consulting is a leading Australian company focused on delivering exceptional and innovative energy management solutions, which are tailored to meet our client’s specific requirements. We develop, engineer, procure and construct a range of energy management solutions, ranging from: solar systems, lighting upgrades, energy audits, monitoring or policy advice. 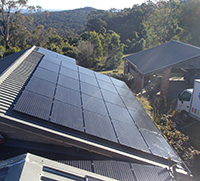 Morgan Green has been active in the industry for more than 10 years, providing solar and energy efficient products and advice to the local Randwick and Waverley community. Sustainability Now is an energy & water efficiency and environmental management consultancy, specialising in strata but also able to advise on standard homes. Since 2009 we have worked with over 300 strata buildings to undertake energy and water audits or implement energy and water efficiency upgrades. Managing Director, Ethan Burns, is an Environmental Engineer with 10 years’ experience in the electricity generation, transmission & distribution and local government sectors prior to founding Sustainability Now. 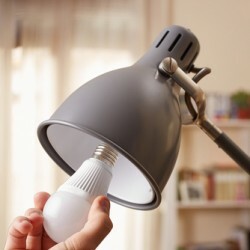 He can help homeowners with advice on energy efficient lighting and appliances, hot water systems, pool pumps, optimal sizing of PV systems, battery storage, energy tariffs and general water efficiency. With her Lithuanian family background steeped in building and engineering, it was natural that Sigita Kliuke chose to become an architect. Combining nine years in architecture, including interior design, with her enthusiasm to really understand sustainable design Sigita became a researcher/project manager for one of the leading world insulation companies. Sigita is now adapting her European experiences to the Australian climate. This includes her recently completed NaTHerS training as a thermal performance assessor. Sigita also has significant experience in BASIX compliance. 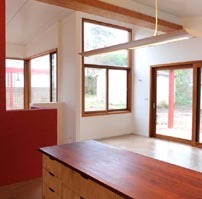 She has a strong commitment to holistic sustainable passive solar design which incorporates all aspects of a site. Her aim is to use building design as an opportunity to deliver spaces and homes that will enrich and celebrate not just occupants, but neighbours, towns and the planet. 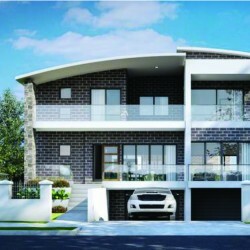 At your abode we specialise in the design and construction of green, sustainable living environments. Every one of our projects is the distillation of our desire to create houses that are as sustainable as possible, whilst being truly unique, inviting and genuinely well crafted. 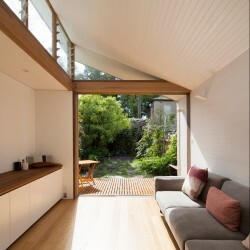 We believe that houses and renovations should be designed and built with the maximum consideration for their environmental impact and their effect on the health of the occupants.